This morning I was very brave and set out to the local shopping centre to buy clothes for work. Not exciting, but necessary. A delightful lady helped me gather tops and skirts to try on. Pleased to say, I did have some success. While processing my purchases, ‘my stylist’ admired and commented on my necklace. I was wearing a cute 31 Bits necklace that is available from the Ecobella store. I agreed it was lovely, and then commented that it was also fair trade. That’s when she stunned me by asking, “What is fair trade?” I think I must have looked puzzled. I know that a number of thoughts whizzed through my head. I gave her a ten words or less reply and also gave her my business card and an Ecobella flyer. She smiled, called me ‘honey bun’ and I left a happy shopper. On the way home, I got to thinking about this simple question. 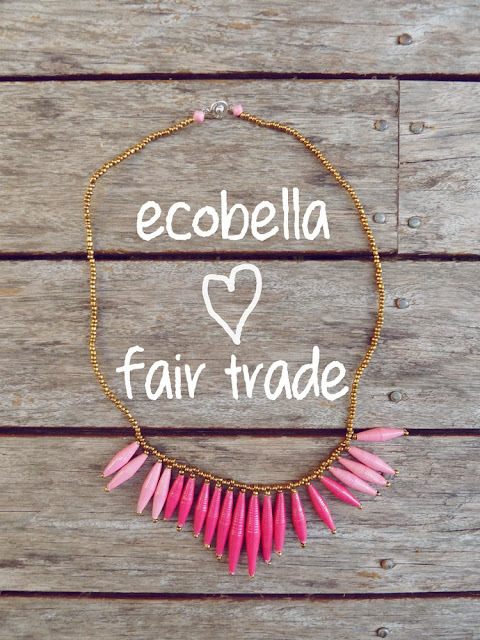 Who else has not heard of the term fair trade and all that it implies. I have a teaching background, so I have always talked a lot about social justice and environmental issues. I just assume people know this stuff. 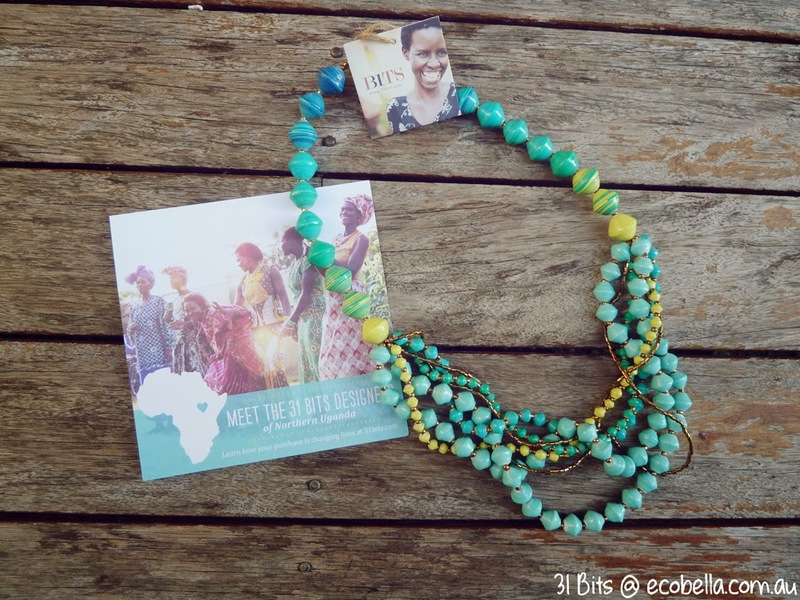 Ecobella loves 31 Bits jewellery as it provides an opportunity for women in Uganda to work and create beautiful pieces and also earn an income they deserve. This fair trade jewellery is not only trendy but ethical. What’s not to love? I am trying to think more about the way I shop and where my purchases are produced. 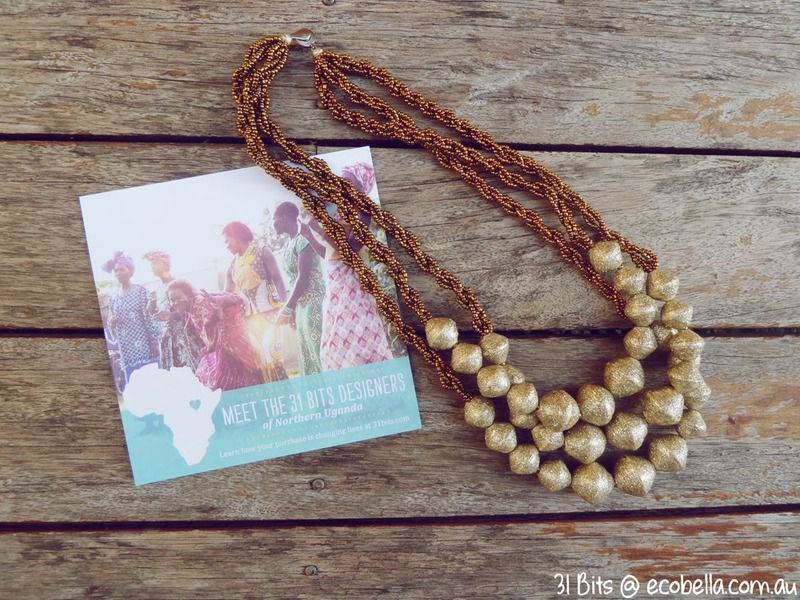 I am still learning about ethical shopping and the beauty of concept of fair trade. 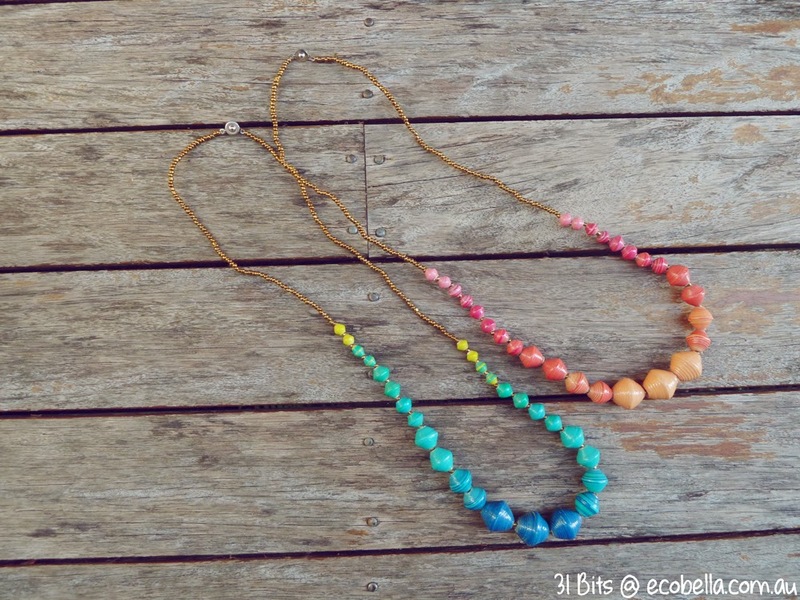 PS - Do you think about the real cost of things you buy? Is it important that workers are paid fairly, or that the material to make garments are free from pesticides? What things do you not compromise on? And how much does the price weigh in?